The “Songwriters Guild”:http://www.songwritersguild.com President Rick Carnes recently wrote to the EFF, seemingly in response to their “Frequently Awkward Questions for for the Entertainment Industry”:http://www.eff.org/IP/faq/. Rick Carnes has a point- and for the most part I agree with him. The trouble is that for the most part, the EFF agrees with him too! It is unfortunate that his frustration is directed at the EFF. If EFF upholds free speech and someone slanders you, do you fault the EFF for allowing slander or do you go after the person who you believe has wronged you? Fred von Lohmann of the EFF has “posted a response”:http://www.eff.org/deeplinks/archives/004857.php which touches on the issues at hand without directly answering the questions. While Fred may not want to get in to an internet brawl over semantics, I have no such qualms. In any case, I am not against a lot of what Rick Carnes has written. That past 2 days have been fantastic. After my long and heartfelt article was picked by BoingBoing, I figured that would be as good as it would get. Boy was I wrong. In the past, this site has been slashdotted twice and digg homepaged once. Being slashdotted for the first time, last December, was great because it was the first time this blog got noticed any where outside my friends and family. Getting on the digg home page meant that an article had been accepted by the internet masses, which was uniquely satisfying- though that article was a jab at Microsoft, and so was easy to gain acceptance in certain communities! Now we have been “boingboing’ed”– which is a different level of satisfaction, because it was accepted by Cory Doctorow. I’m a big fan of his- as I make it clear in the article– and appreciate the link from him a lot. 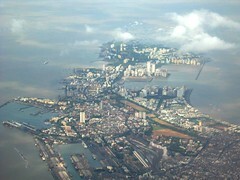 Bombay. A most fascinating place. We may be told- ad nauseum- that it was formerly called Bombay. It is still Bombay to me when I speak (or write) English, and Mumbai when I speak Gujarati or Hindi. It is what it is- official name changes change nothing. And it has been bombed. Seven times within the half hour. Again. “Amardeep Singh”:http://www.lehigh.edu/~amsp/2006/07/bombay-blasts.html has some great links about that provide perspective and links to take action now. “Suketu Mehta”:http://www.washingtonpost.com/wp-dyn/content/discussion/2006/07/11/DI2006071100620.html talks about the issues at hand at the Washington Post. He is the author of “Maximum City”:http://www.amazon.com/exec/obidos/ASIN/0375703403/galaxyfaraway/ which is the second greatest book I have read on Bombay. The best, of course, is “Salman Rushdie’s Midnight’s Children”:http://www.amazon.com/exec/obidos/ASIN/0140132708/galaxyfaraway/102-8769303-4742567. My friend Rahul, at his blog writes in outrage, at the lack of anything but empty words from the people in power. And I write this and quote poetry.